Annisquam Herb Farm: Easy cold frame . 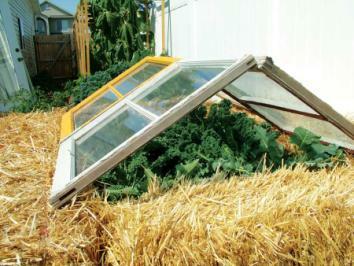 . .
Easy cold frame . . . Extend the growing season with an easy to install cold frame. Hay bales topped by old storm windows work as cold frames made from what is on hand.